Consider that most common of cooking ingredients, the egg. 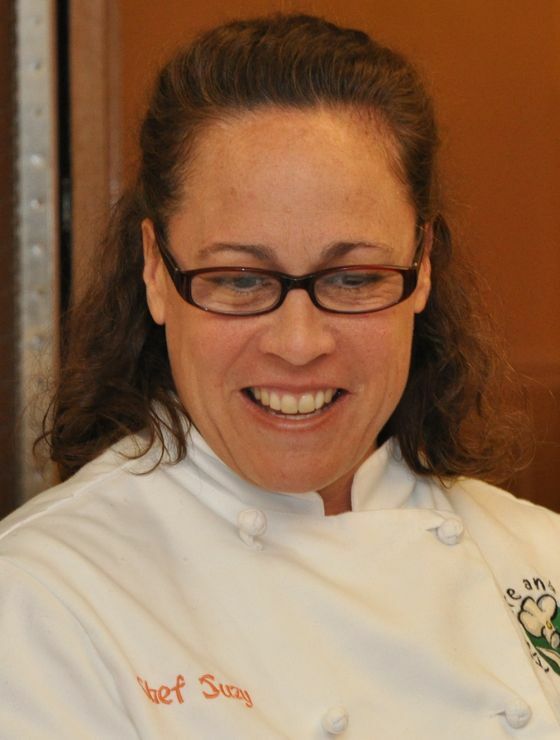 If you’re a kid attending Chef Suzy Farnworth’s cooking class, you may never again view it in quite the same way. “Where do eggs come from?” asks Suzy. “Chickens!” respond the kids. “What part of a chicken?” asks Suzy. “Their butts!” squeal the kids. At a recent class Suzy and Brad focused on an Italian menu – cheese ravioli, potato ghocchi, two kinds of sauces and dessert truffles. Her next classes on May 16, divided by age group, will be on sweet and savory pies. Her annual Junior Chef Cooking Camp series begins in June.